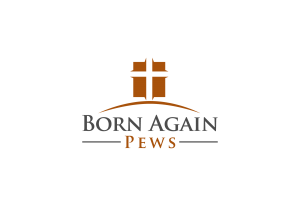 Born Again Pews, founded in 2005, operates this Used Church Furniture website service to help churches find good, used furniture for their worship and classroom needs. We view this as a ministry to God, and are dedicated to upholding our mission. Our goal is to Help Churches Grow by creating a place of dialogue between churches that need assistance with church furnishings, and those who have excess furnishings and equipment to freely share or sell. This service helps the larger churches, but also helps small and start up churches and missions to provide a suitable worship environment. As a Christian service, we primarily work with both denominational and Independent Christian churches, Missions and Jewish Synagogues. We will also assist other related ministries and services (such as funeral services, lodges, chapels, etc) in their efforts to place or find furniture. Anyone can purchase furniture from our listings. BAP’s and Church Services works in conjunction with local congregations to help find a home for their used pews, chairs and pulpit furniture, as well as other church related furnishings. Over many years we have helped hundreds of churches find good, low-cost church furniture, and we would be glad to assist your church also. If you have pews to sell, we can help. Please take a moment to read what others have said about us. Unlike auction sites, we only promote the church furnishings in our advertising and promotions. We are here to help the local church. In a recent survey of our site and in comparing the big E auction site, we have found that 94% of our listings sell, compared to 24% on the main auction sites. Ask for details. If you find pews that need updating, a pew padding service, pew cushions, refinishing or touch up, please visit our Links page. For delivery info, go here.